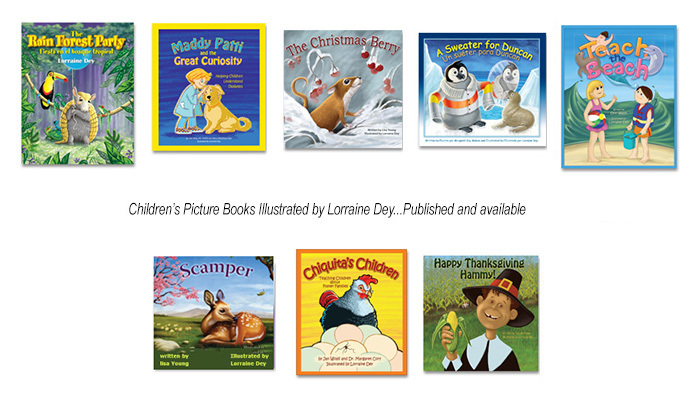 Current books illustrated by Lorraine, published and available. Click on image to see ordering information for each book. All illustration and graphic design images contained in this website are the property of Deystudio, LLC and Lorraine Dey. www.deystudio.com - Copyright © 2011 Deystudio, LLC - Lorraine Dey - All rights reserved.